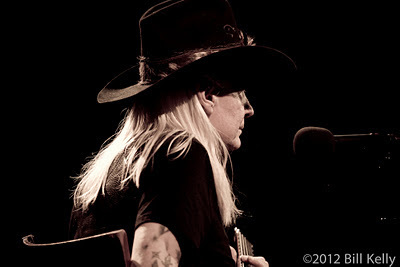 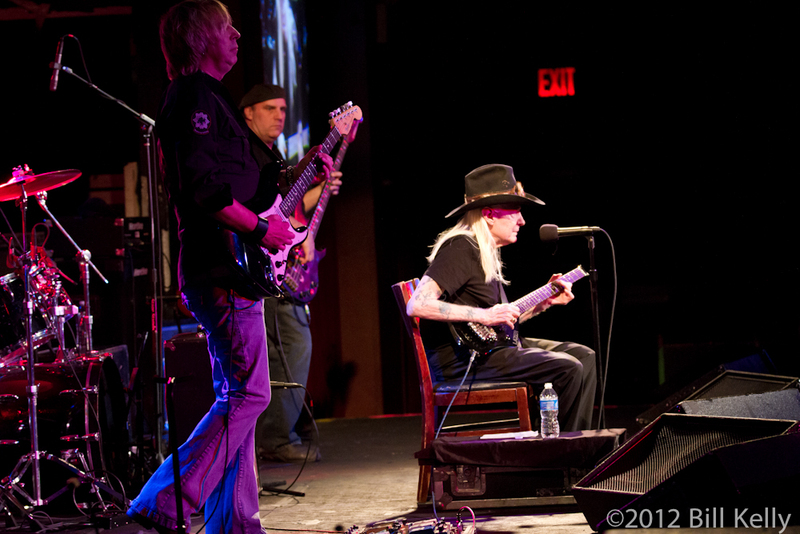 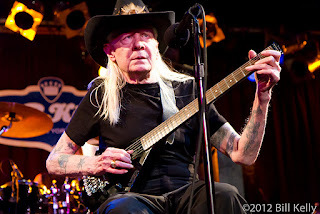 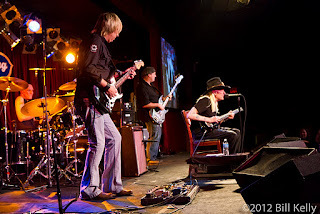 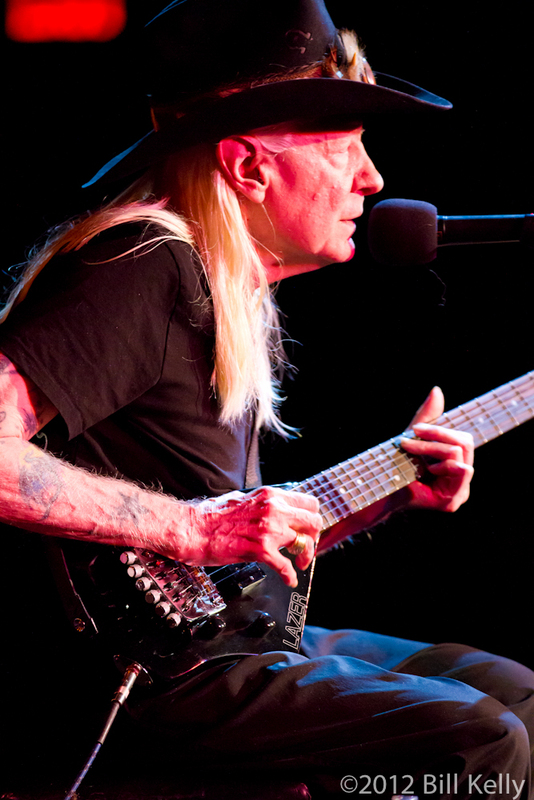 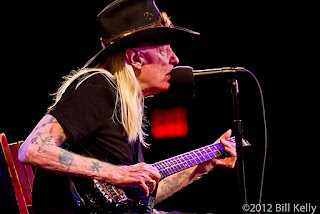 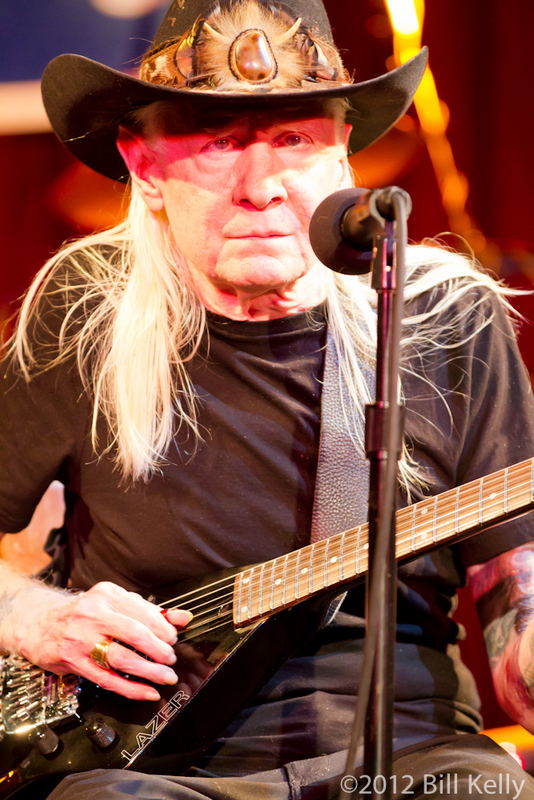 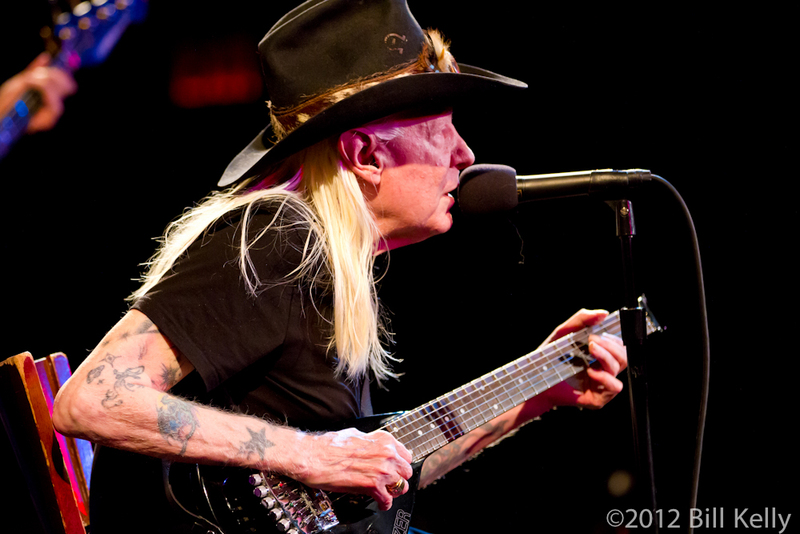 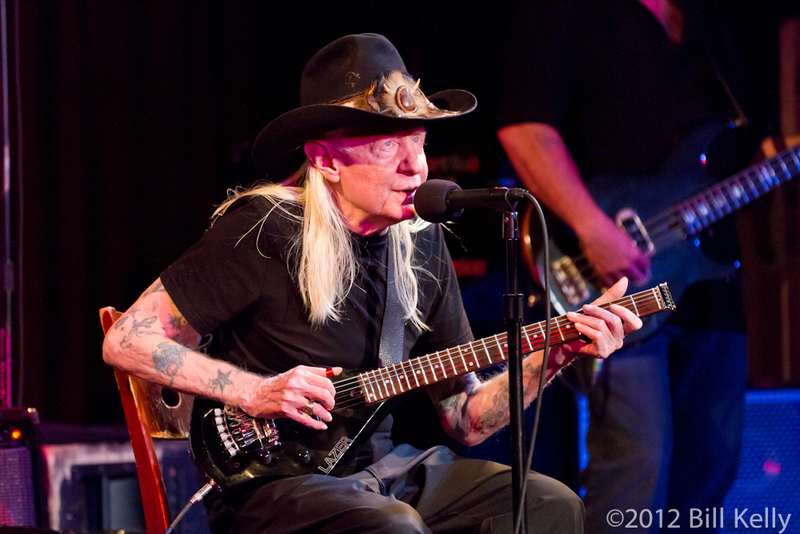 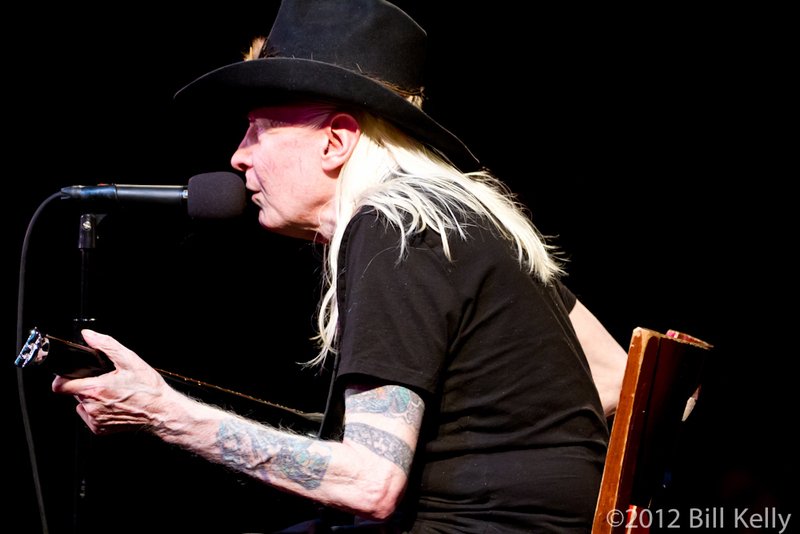 Saying Johnny Winter hit the stage at BB Kings may be a bit of an overstatement - Frail, recovering from hip surgery and years of substance abuse, Winter's physical presence belies the power still emanating from his guitar. The old Texas stomp blues is still there, hands flying along frets almost as they did in the late 60's when Winter emerged as the new blues powerhouse, bringing the music of Muddy and John Lee roaring back to life. 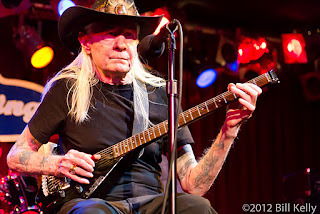 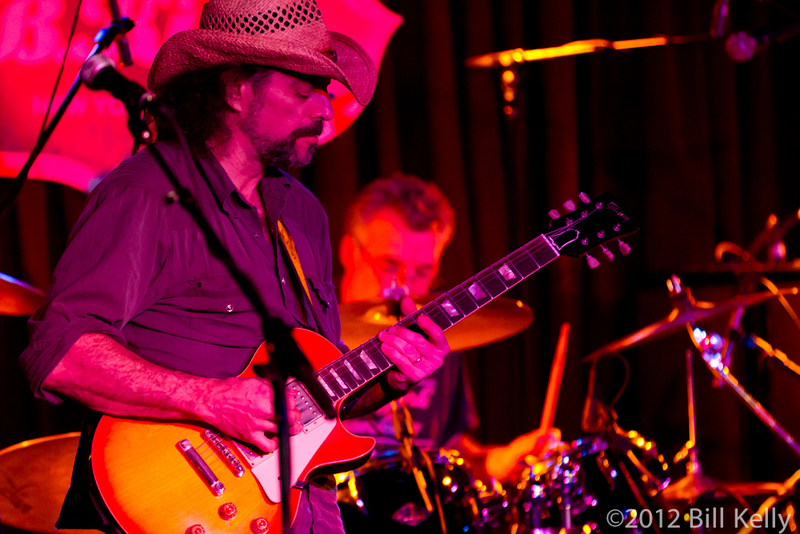 Following opener Andy Aledort, who plays with Dickey Betts can hold his own with the guitar masters, Winter’s band opened with a quick instrumental as Johnny made his way to the stage. 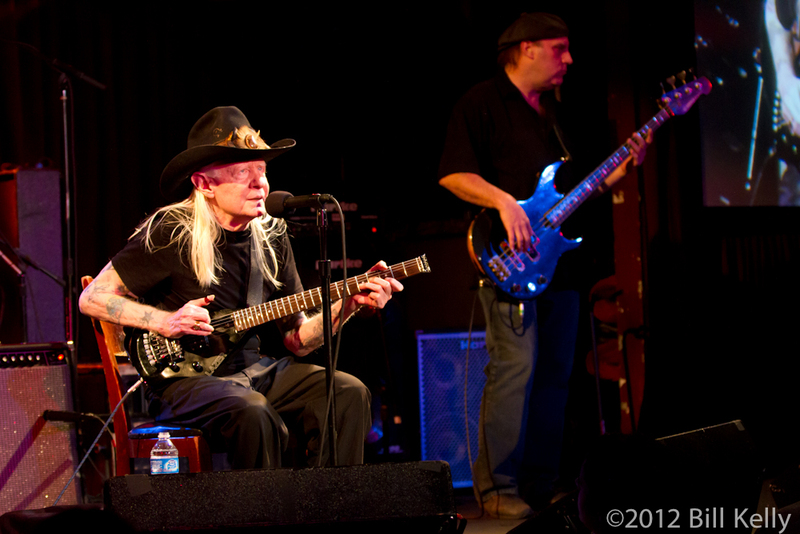 Once seated, the old Southern slide boogey guitar legend was back. 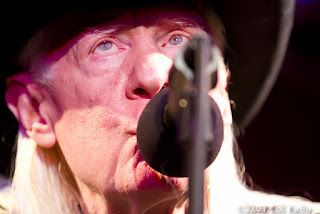 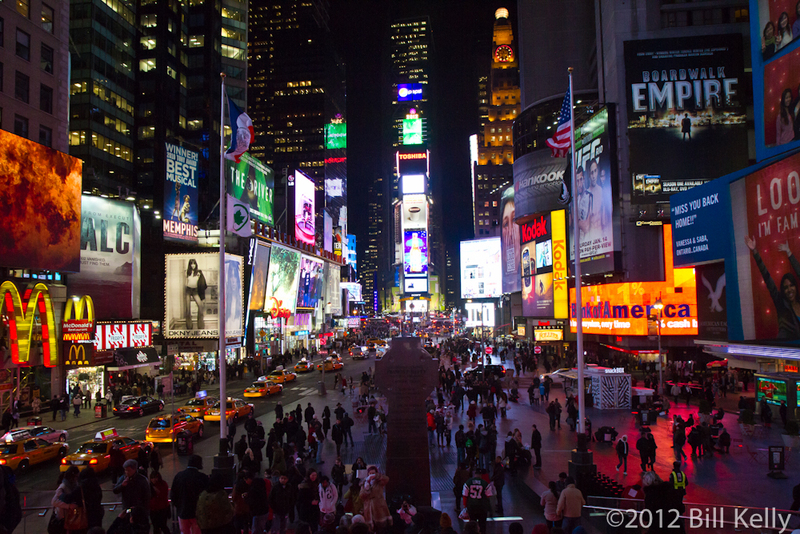 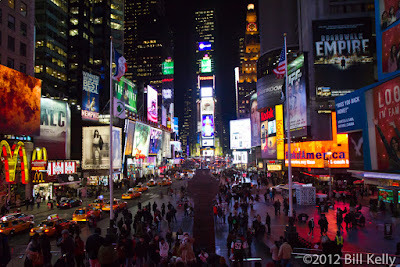 Although the voice didn't have the same roar of years past, the sound was unmistakable. Recently ranked 74 in Rolling Stone’s list of the “100 Greatest Guitarist of All Time”, Winter seamlessly slipped between high energy blues-rock and smokey Texas blues. 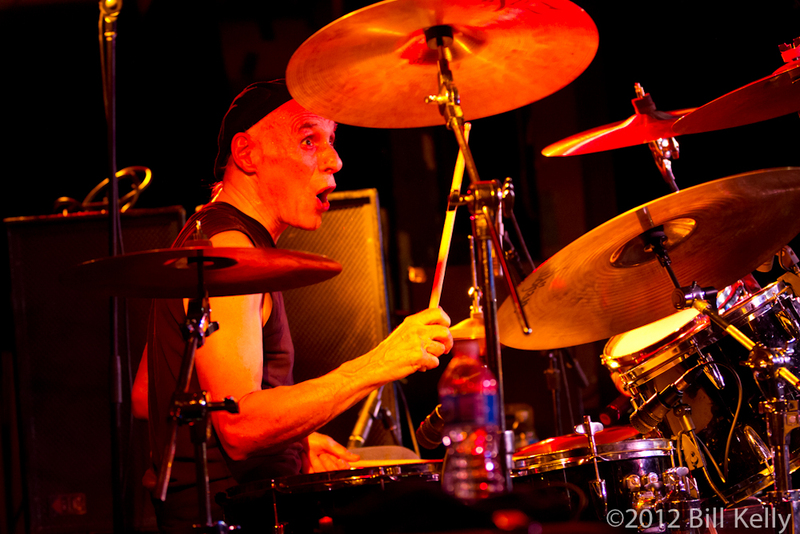 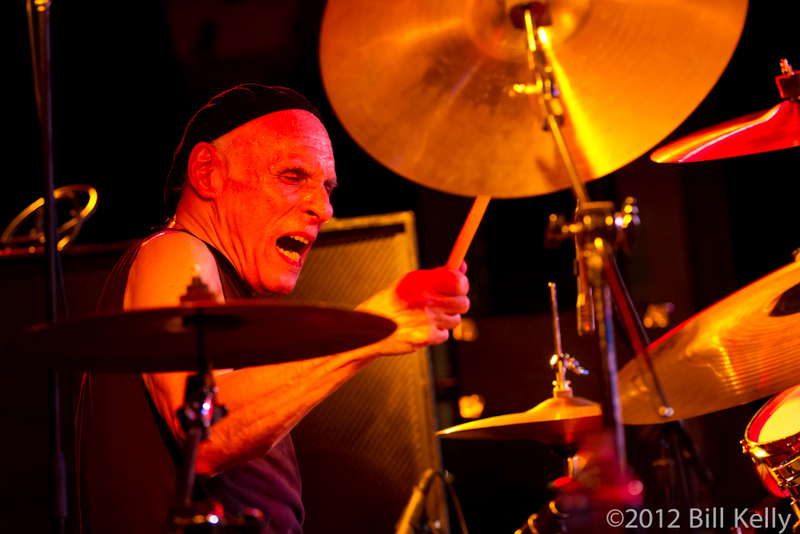 Playing to a packed house, Winter gazed steadily through the two plus hour set, a spectral visage of uniquely American musical history. 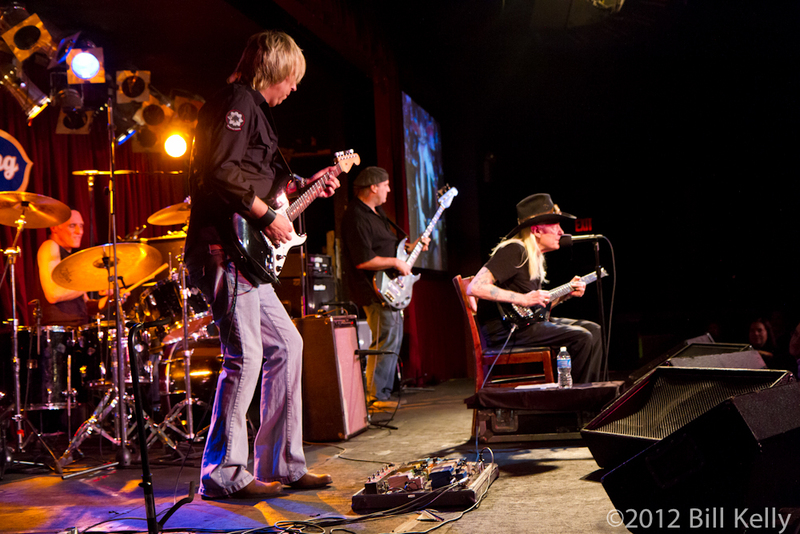 Touring steadily for the past year, defying all odds, Winter is Still Alive and Well.